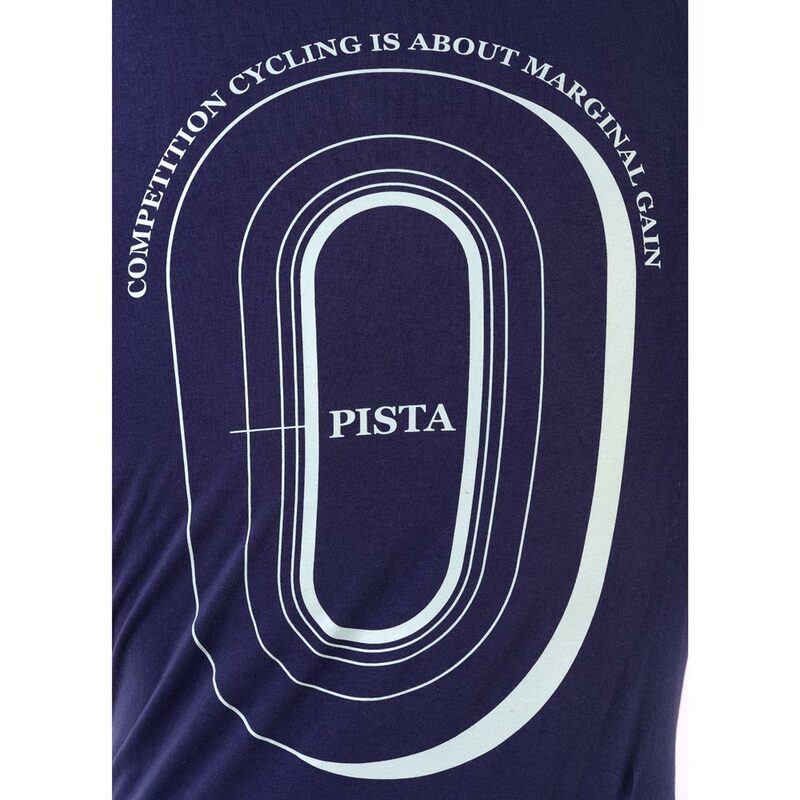 Our ‘Pista’ T-shirts are a nod to the famous ethos that has helped Great Britain win so many gold medals. 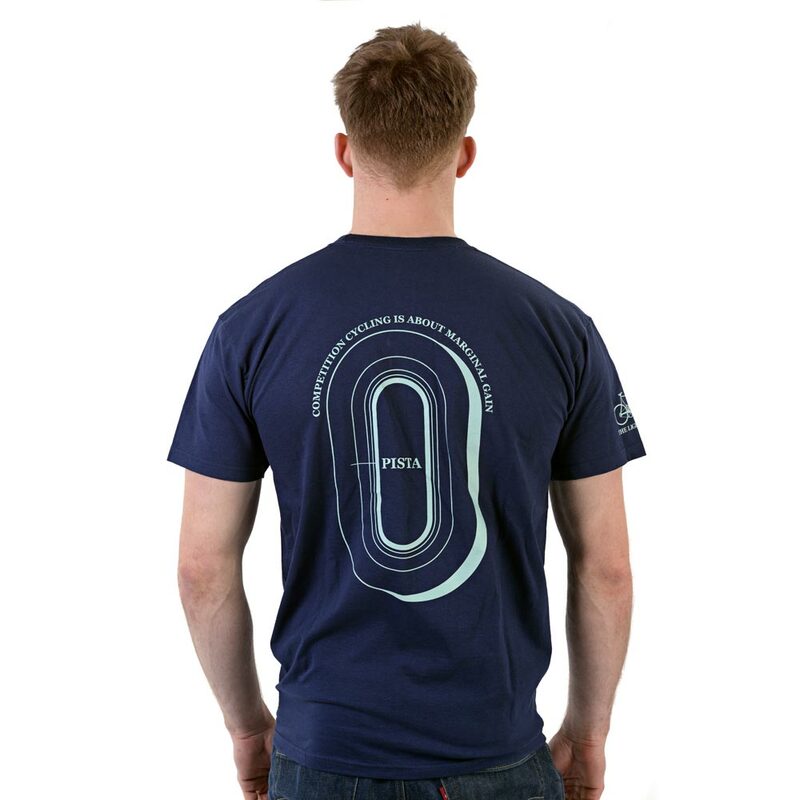 Featuring a velodrome graphic and marginal gain text on the rear and a small silhouette of the original JA Townsend Light Blue bicycle on the left breast. 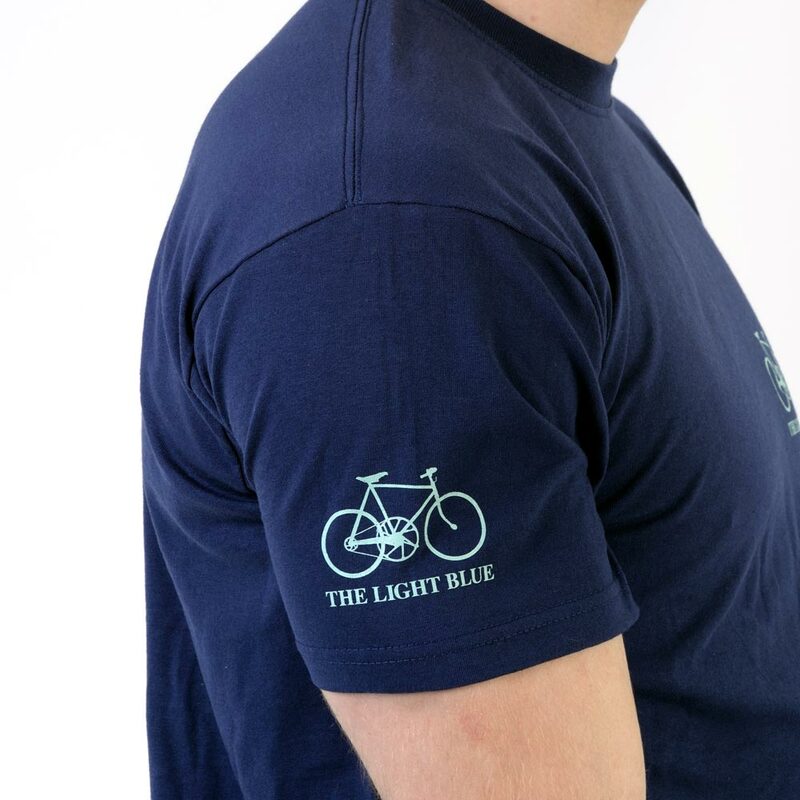 Printed in Cambridge using a typical Cambridge Light Blue colour ink. Super premium Fruit of the Loom T-shirt. 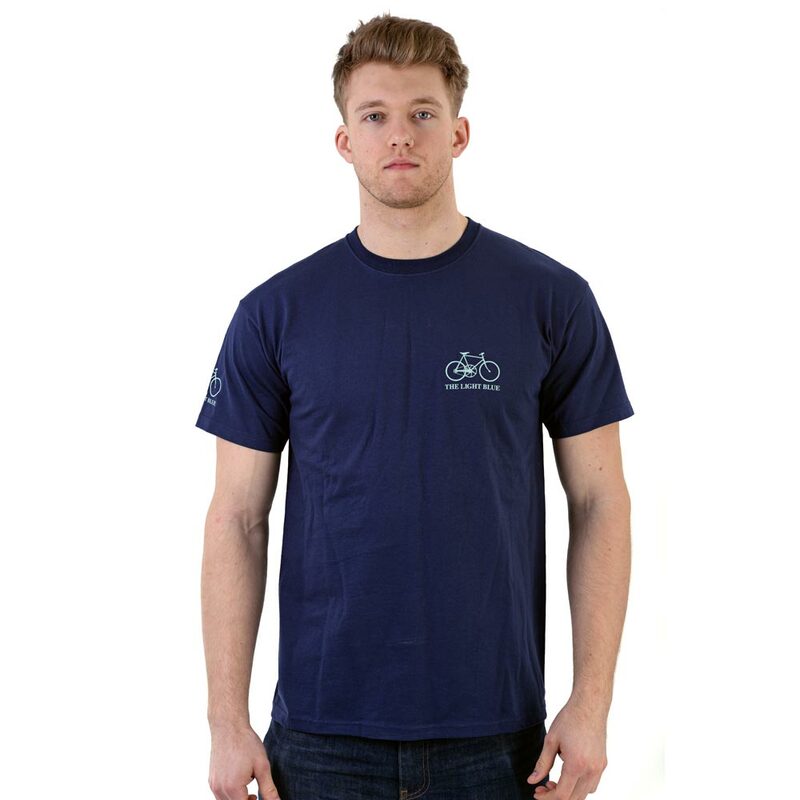 High quality 205gram 100% cotton material. Guaranteed to perform at 60°C wash. Crew neck with cotton/Lycra® rib. Produced using Belcoro® yarn for a softer feel.